SBEM calculations (Simplified Building Energy Model) is the approved calculation method used to provide analysis of a commercial building’s energy efficiency and compare it to benchmarks to ensure compliance with current Building Regulations Part L. A large amount of our work is carried out in Cornwall, Devon and Somerset but SBEM calculations are a desk based assessment so we can assist regardless of where you are based. We use advanced 3-dimensional modelling software to undertake the SBEM calculations for new buildings, extensions and conversions. As qualified and accredited Level 4 and Level 5 non-domestic energy assessors, our documentation can be submitted directly to Building Control to ensure full building regulations approval. This report is sometimes referred to as the BRUKL (Building Regulations UK Part L). With each new update to Part L Building Regulations, higher standards of energy efficiency are required to ensure compliance. With our expertise, we can help you to choose the most suitable building specification for u values, heating, cooling, ventilation, hot water, lighting and controls. An Energy Peformance Certificate must be produced upon completion of the building. 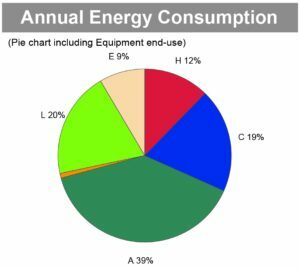 Once we have finalised the as built SBEM calculations, we can then produce an EPC, which shows the energy efficiency rating of the building. As SBEM calculations are usually a desk based exercise it means that not only are we not required to visit the completed building, Up Energy can undertake the SBEM calculations and final EPC from anywhere in the country. 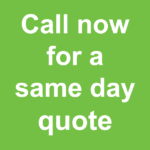 This means that you can take advantage of our low costs and pricing wherever you or your site is based in the UK. Full and Detailed Lighting Design – in offices and retail projects this can be one of the most important factors in the SBEM calculations. Our advice; Go for the most efficient high lux and low W/m2 design possible within your budget. Heating system – whether the building is heated via a conventional gas boiler, biomass district heating, ground source heat pump or any myriad of systems go for the highest efficiency possible. Anything listed on the Energy Technology Product List (ETL) is usually a pretty good bet, and has the advantage of being able to claim 100% of its capital allowance in its first year. Hot water – sometimes overlooked, but can be of key importance in buildings with showers and baths. SBEM calculations for Care Homes or Hotels should be replete with hot water cylinders using low standing losses. Mechanical Ventilation – high efficiency heat recovery will assist with compliance and a low Specific Fan Power (W/l/s) is vital. Insulation – Part L2A and L2B provide minimum requirements for U-values. The reality is that we must go above and beyond. Look at U-values of below 0.16 where possible, but don’t focus all of the attention here as there is a law of diminishing returns. Glazing U-values are of equal importance but the G-value (thermal transmittance of the sun’s rays) can make a difference too depending on if the building is cooled and its orientation. Someone has created a SBEM calculations wiki here but for more detailed information, see our FAQ here.